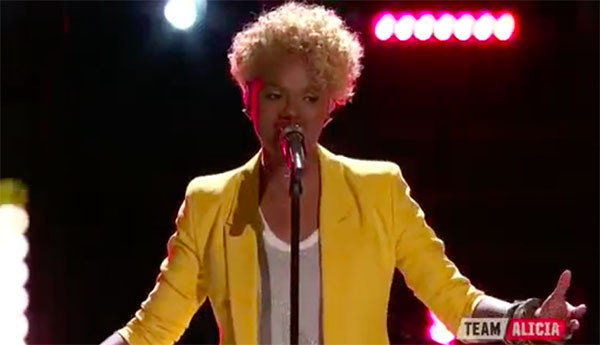 Vanessa Ferguson from Team Alicia sings ‘Doo Wop (That Thing)’ on The Voice Season 12 Top 10 Live Shows, Monday, May 8, 2017. “That’s pretty cool,” said Adam Levine. “You are a poet, pianist, vocalist, you are everything. You just show exactly who you are. You are so special,” said Alicia Keys.